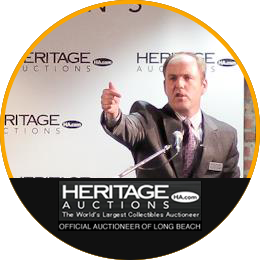 The world's largest collectibles auctioneer, Heritage Auctions, will host its Signature Auctions live at the Long Beach Expo, June 6th through 8th. Learn more about Heritage Auctions, the complete Signature Auction schedule, and how to consign to Heritage Auctions by visiting our Auction page. This $30+ million display of over 400 superb ancient Roman and Papal coins will be publicly exhibited together for the first time at the June Long Beach Expo. This unprecedented collection incorporates coinage from Julius Caesar and the other 11 Caesars of long-ago Rome to the coinage of the Popes at the Vatican. The Roman coins in this collection tell a unique story chalked full of historical significance. It begins with the earliest Roman Republic portrait coins over 2,200 years ago and ends with the fall of Rome and the coinage of the invading tribes thereafter. Look for an extremely rare set of the famous 12 Caesars with many of the gold coins recorded as the finest known. In addition, there are also coin portraits of some of the most famous Popes for their eras including Pope Alexander VI, Pope Innocent XI and Pope Innocent XII. 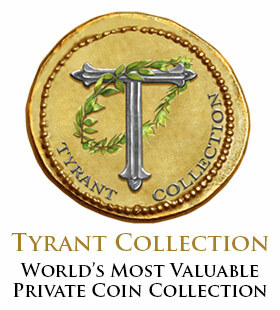 Learn more about The Tyrant Collection. 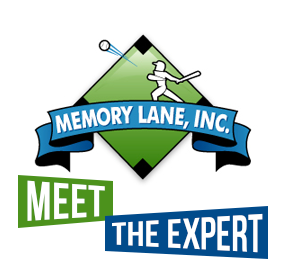 Bring your sports items for an evaluation by the Memory Lane experts. Get an opportunity to learn about your sports items and their respective values. 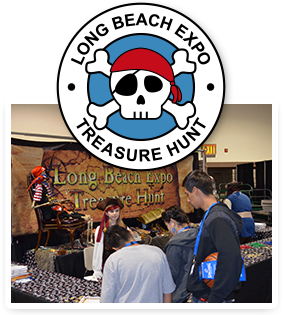 If you are a young numismatist, or you know a young collector, you'll enjoy the free Young Numismatists Treasure Hunt during the Long Beach Expo on Saturdays from 11 a.m. - 2 p.m. You can get information about this fun-filled activity at the Information Desk. Learn how to create sets in the PCGS Set Registry and PSA Set Registry with coins and cards from the Treasure Hunt. If you have a set already started, update your set with your new Treasure Hunt coins and cards. If you have duplicates, trade your coins and cards with other kids at the Registry booth. Learn more about the Youth Activities. The Long Beach Expo Kid's Zone hands on educational outreach feature has been a part of the Long Beach Expo since the mid 1980's. It offers youth and families a number of learning fun activities such as America The Beautiful Quarter Trivia, where youth can win (earn) FREE quarters up to nearly 40 for simply answering questions about each. Parents can participate in the fun learning experience along with the youngsters too. The second feature is a World Currency Country Match where youth can earn a starter collection of foreign currency for matching notes with the correct country. Youth can earn up to 30 different pieces of foreign currency. The Kid's Zone booth also provides a multitude of FREE educational literature to encourage youth, families, scouts and adults which will aid them to 'LEARN and GROW' in the hobby as well as local coin club meeting information and FREE coin appraisal service. All numismatic materials are donated and have been for many years by Walt Ostromecki-Immediate ANA Past President, the ANA Education Department and the Numismatic Association of Southern California (NASC). Coin and cash donations are always welcome from the public! The Long Beach Stamp Club is the oldest continually active stamp club in Southern California. We celebrated our 92nd birthday in November 2018. The Long Beach Stamp Collectors Club was organized in 1926 by a group of avid stamp collectors. In 1928, the club became a chapter member of the American Philatelic Society and today remains a member in good standing. The Long Beach Stamp Collectors Club was incorporated in 1953, and has been known as the Long Beach Stamp Club, Inc. since 1973. 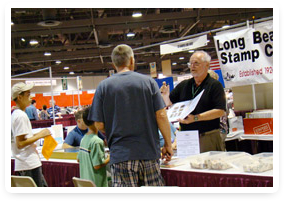 In 1985, the Long Beach Stamp Club established a program for encouraging kids to become interested in stamp collecting as a hobby. At this time our program is committed to having stamps for young collectors to collect and enjoy. Among other activities, the Long Beach Stamp Club Kids Korner helps kids increase their knowledge of the hobby, and will we raffle off a starter collection that a young collector can use to build a beautiful collection. Over the years, this program has grown so big that we now give away prizes consisting of stamp albums with stamps from around the world. We have a "stamp drawer" and KIDS from 6-17 years old can look through it and pick stamps for free. Everyone who stops by our booth and registers for the Grand Prize Drawing leaves with a stamp book with two countries and a profile of each country. For more information, contact Lloyd Baumann at [email protected]. 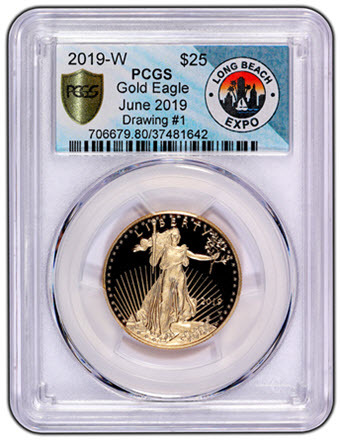 Each day of the show we'll award a special American Eagle One-Half Ounce Gold Coin to a lucky visitor at the Long Beach Expo. Any visitor that registers online and uses their personalized confirmation ticket to check-in at the registration desk is automatically entered in the daily drawing. Drawing tickets should be turned in at the registration desk at time of registration. The drawing will take place at 1 p.m. on Thursday, Friday, and Saturday. Need not be present to win. Each day of the show we'll award a special authenticated sports item to a lucky visitor at the Long Beach Expo. The Long Beach Coin Club (LBCC) began in 1950 and has been fully active ever since. The LBCC is a non-profit educational and numismatic membership organization open to all ages. We promote and encourage the study and appreciation of numismatics and related subjects as a hobby for all collectors. Our goal is to provide an organized outlet for disseminating information by word of mouth, speakers, open forums and written publications. We are numismatic mentors, where we help new collectors through the maze of numismatics so fewer mistakes are made in their quest to collect or discover areas of interest. The club meets on the first Monday of every month, and the agenda typically includes an attendance drawing, member Show and Tell forum, current updates on local and far-reaching numismatic events, open club business matters, an educational presentation (with speaker), club auction and a club raffle. Meetings are held at 7 p.m. sharp at the Millikan High School Cafeteria, 2800 Snowden Ave. in Long Beach. Our mailing address is: Long Beach Coin Club, P.O. Box 8101, Long Beach, CA 90808. The Long Beach Coin Club is a dues-paying member of the American Numismatic Association (ANA), California State Numismatic Association (CSNA) and Numismatic Association of Southern California (NASC). 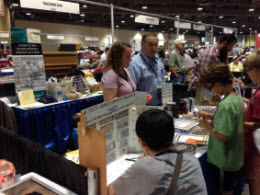 The LBCC has a booth at the Long Beach Expo, where we help show visitors by giving them detailed information on all forms of numismatics and directing visitors on the large bourse floor. We can direct an Expo visitor to a numismatic organization (coin club) in their area within California. Last, the LBCC sponsors and judges an educational display forum at the Expo. LBCC members and members of other coin clubs within California can participate, and the winners will be well-rewarded monetarily for their efforts. These displays attract many Expo visitors and give them ideas for their own collecting futures. We thank the Expo promoters for their long-time support and backing of our coin club. Whether you bring coins from home or are considering purchasing ungraded coins at the show, Professional Coin Grading Service (PCGS) will be on hand to accept coins for grading right at the Expo. To make sure your coins realize their true worth in the marketplace, insist on having them graded by PCGS. Interested in having your prized collectibles certified by the world's leading authentication and grading service? Professional Sports Authenticator (PSA) representatives will be on-hand to accept submissions, from trading cards to autographs, at the Long Beach Expo.